Make the most special day of your life even more memorable with the fabulous range of Wedding Party Supplies at Partyrama. From the ceremony to the reception and thanking your guests after, we have a huge range of wedding party supplies, decorations, stationery and more to add detail and joy to each step of your amazing day. Wedding decorations including wonderful banners, hanging decorations, throwing confetti, garlands, streamers and door curtains will help make your venue sparkle. Wonderfully designed wedding tableware themes are ideal for buffets and party food, while our table decorations including table gems and confetti, place cards, centrepieces and more make sure your guests are captivated in the moment. Essential wedding accessories including party bubbles, chair bows, flowers, favours and confectionery help add those special extra details, while our additional catering supplies make sure everyone has a glass to raise without breaking the budget! Traditional and unique wedding balloon designs are another beautiful idea for your celebration, while our stationery, invites, thank you cards and card boxes add memorable touches to each step of your planning. Even your car can dress up with our beautiful car bows and one-of-a-kind car decorations. We also offer a wide range of simply stunning personalised wedding party supplies that can really take your wedding party to the next level of detail! Enjoy free delivery on orders over £50, and for those last-minute orders we have next day and weekend delivery options available to help you across the line. 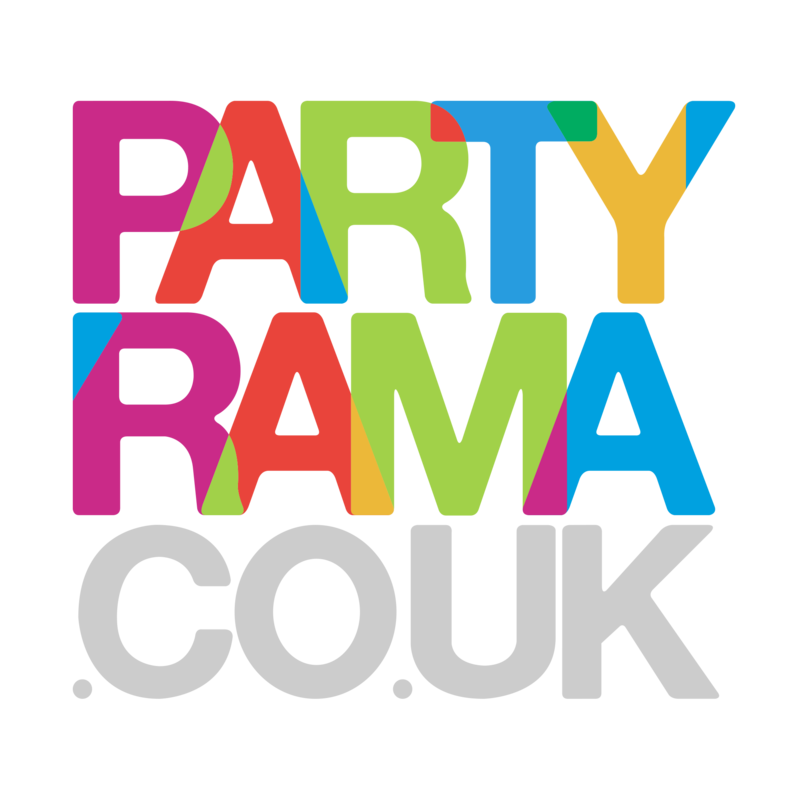 Shop wedding party supplies at Partyrama – we wish you a wonderful future together! Celebrate this beautiful occasion with unique and traditional decorations, banners, balloons and lots more! Choose one of our lovely wedding tableware sets to give your reception an extra special feel. Mix and match balloons, tableware and decorations to match the colour theme of your wedding! Table gems, confetti, centrepieces and photo holders add a touch of detail to your wedding tables. Lovingly crafted wedding favours in an assortment of colours and styles. Flowers, throwing confetti, car decorations, jewellery and more for the special moment of union.